C-SPAN brought its unique digital media bus to Pella for an educational community visit on Tuesday. The bus is celebrating its 25th year of public service, with the goal of visiting every state capitol building in the United States. Vanessa Torres works for C-SPAN in Washington D.C., and tells KNIA/KRLS News they stopped in Pella to meet with community members to discuss issues most important to them. The 45-foot tour bus featured 11 interactive tablets, a classroom area, along with an HD production studio. 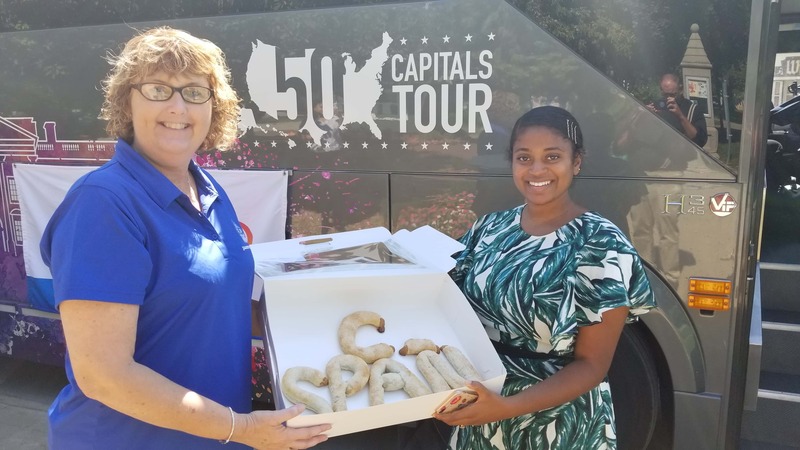 Visitors had the chance to interact with the C-SPAN bus crew and engage in on board interactive tools to learn about public service television networks, C-SPAN’s online presence, and comprehensive educational resources.